I think they are a great idea. When reversing alone I have to stop and keep checking what is happening behind, not such an issue with a camera. My L200 Barbarian has a built in reversing camera and I consider it a very useful tool. I don't use it to actually reverse, I use the mirrors for that, but it is very good to check that there are no obstructions behind. Also the Barbarian is rather long so it is useful when reversing into a small space and when reversing up to a fence or barrier. It is also quite useful when reversing up to the caravan to hitch it up. I would imaging that they would also be good when fitted to the rear of the caravan. Sorry, I assumed you meant for the caravan. I use mine (on the caravan) as a permanent rear view, rather than just as a reversing camera. First fitted for a trip to France, but transferred from van to van since. I think Paul IS referring to a camera on the back of his caravan. Quite a few people on CT have done just that but I can't remember who. I have used a twin camera since 2011, one for rear view other for reversing, in fact I'm looking to upgrade to a higher spec next year. I'll be going the wired route again over a wifi. Once you have had one I don't think you would be happy with out it, cars can be totally hidden behind the caravan even with extension mirrors. Mines a phono version of this upgrade. A few years ago I pulled into a small French supermarket's filling station. I'd stopped at the pump before I noticed the pay kiosk was closed for lunch. The barrier was down so I had no alternative but to reverse out. It was a straight back manoeuvre so I checked both mirrors, selected reverse and let up the clutch. Within a foot - BANG. I got out to investigate and stopped immediately behind me was a Frenchman in his tiny Aixam. Shortly afterwards I fitted a permanent review mirror. It's fitted under the floor of the caravan but clearly shows what's immediately behind me. +1 Very very good safety aid, I'd never be without one. Especially useful if driving on the continent, so easy to see what is behind rather than craning your neck to keep checking the LH wing/door mirror. Yes, I was referring to a camera on the back of the caravan for exactly the purpose of seeing what is behind. I can reverse well using the mirrors but don't like the not knowing what's directly behind. I'm always concerned that something or someone has snuck up behind me! Any specific recommendations as to type or brand? I also used parkingcameras. com, they were very helpful giving advice by phone before I placed an order. The kit I fitted - see it in post No 9 - I got from ebay and at the time was around £30. Systems vary in price depending on what picture quality you want. Problem with me is I've become use to seeing playback on my £30 dashcam in HD, a stonking smart phone picture, and even my latest CCTV is HD. 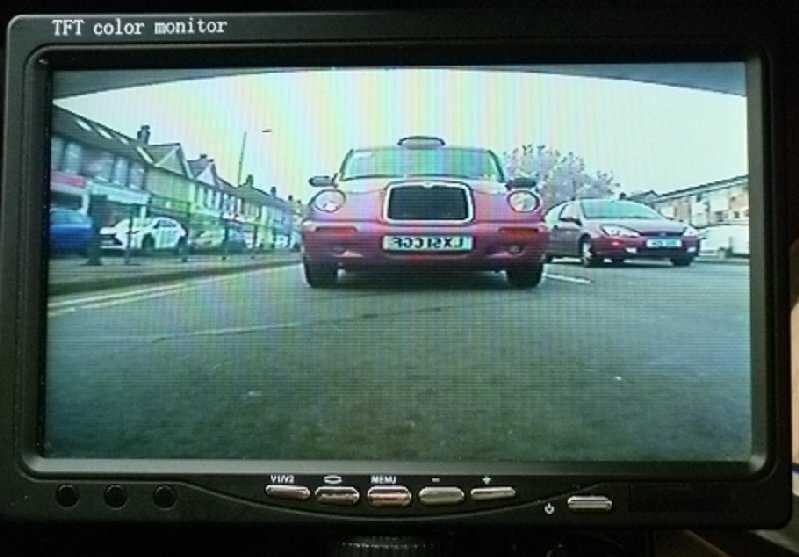 Its difficult at present to get HD in a rear view camera, but 700TVL is available on the web sites, my old rear view is still usable but I fancied a better quality picture on my next system. 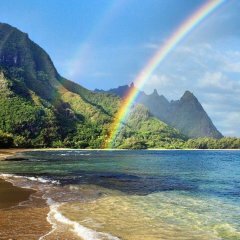 You won't see any spec on the cheap systems, but you will still see an image. I am looking for something like this but don't want any cables or extra screens. At the NEC show a company had a really good wireless (WIFI) camera and it uses your smartphone to show the video feed via a free app, perfect as my phone sits nicely on my dash, it was approx. £149 (I didn't get one as was a bit skint) and their own design, I can't recall who it was though. I used a piggy back fuse for the live on the monitor and bolted to the car chassis for earth. I only put the monitor in when towing so leave the cables hidden behind the fuse panel and join using the supplied sockets. I ran the video cable out the car to the 13 pin socket. 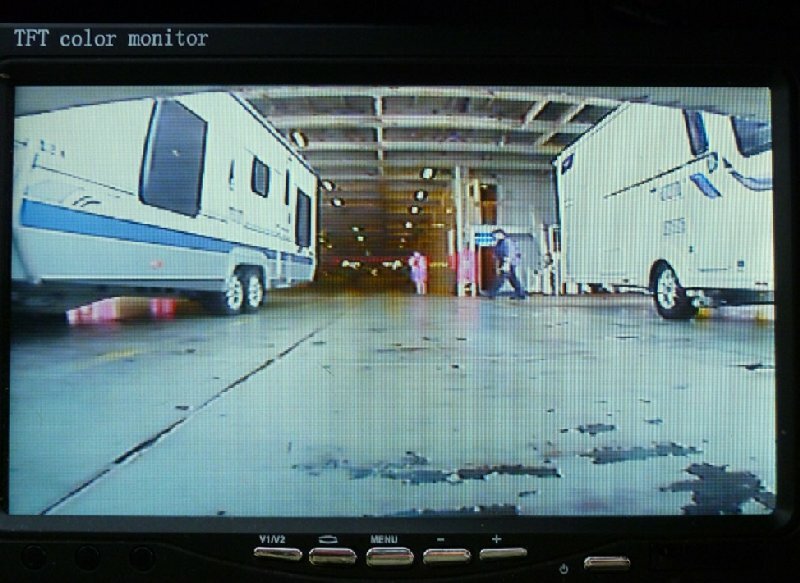 The camera sits underneath the van, the power is taken from spare blades on a lighting block with wiring going through a drop vent and the video cable is cable clipped along the van cabling to the 13 pin cable. As it's cheap kit I get some interference from braking but I wasn't expecting HD. I can see what is behind me which is the main thing. The one I had fitted to my last van worked well BUT, it showed traffic as miles behind you when, in fact, it was right on top of you. Therefore I never, ever relied on it for overtaking and always used mirror before pulling out. Maybe this phenomenon was just applicabLe to my particular camera. Is there a difference between a reversing camera and rear view camera does anyone know? It was useful for pulling back in:if you could see the full width of the front of the vehicle just passed then you know it was safe to pull in.
. Is there a difference between a reversing camera and rear view camera does anyone know? No they are similar. Mine also gives a wide angle view - so therefore distance is distorted but you get used to that. What mine is really telling me is it safe to reverse without having to constantly get out to check - I always travel on my own! Just regard the rear view camera as a bonus to the two door mirrors. Interests:Travel, Land Rover and caravanning. 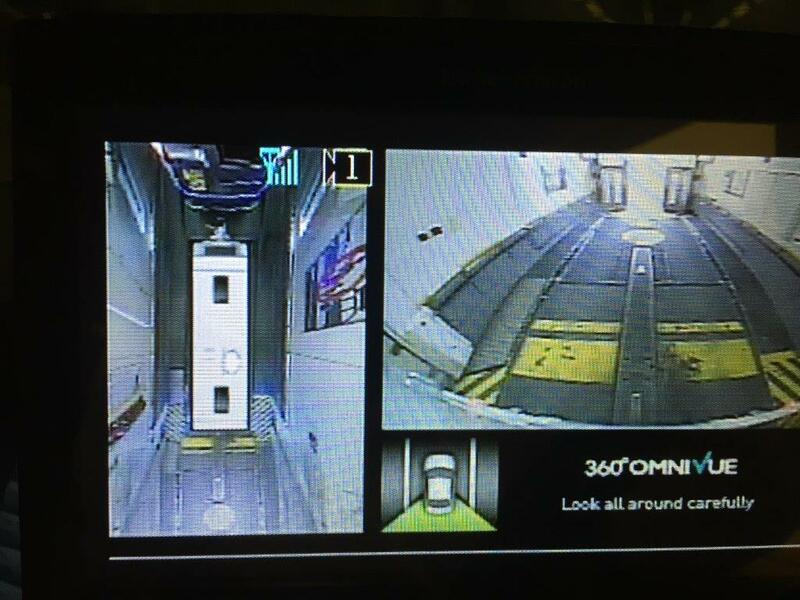 I have the Omni View from trailervision which gives a 360 of the van and a rear view. When the indicators are used it gives a view down the side which you indicate towards. As with all 360 setups the view shows everything to be very tall around the van. I can set it up to show the front cam view for hitching, along with the reversing cam on the car which then gives me a van perspective of the car and a car perspective of the van. I wouldn't be without it now. I often set up alone and collect my wife when she finishes work so I'm glad of a rearward view. Imagine the cost of hitting something as well as the inconvenience, then look at the cost of a camera, no brainer. Mine is wireless and I've had no picture break up at all. Faultless in fact. It's a digital receiver/transmitter and I was extremely impressed considering the transmitter is under the front seat of the van and the receiver is behind my glovebox! Image was taken on Eurotunnel. For me, a rear view camera has a narrow angle lens - its a bit like your rear view mirror. A reversing camera has a wide angle lens - that makes everything look very far away when it isnt - which gives you a wide picture so you can see to the sides of the caravan. I have a rear view camera, if I had to do much reversing on my own I would add a reversing camera and switch between the two when reversing! Although the thread is 3 years old, have you got a link for this unit as we would like one on our caravan to monitor traffic behind us on a motorway. If monitor can be clipped onto rear view mirror. 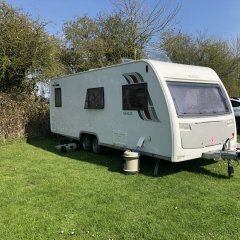 We have been recommended a few but not really what we are looking for as it will need wifi or Bluetooth so no cables between car and caravan for it. We have the high level brake light on the back of the caravan for the power feed however do not want to drill any holes.